The amazing Ben Heason can speak at your event! As a booking agent for Ben Heason, we can arrange for him to entertain your guests. 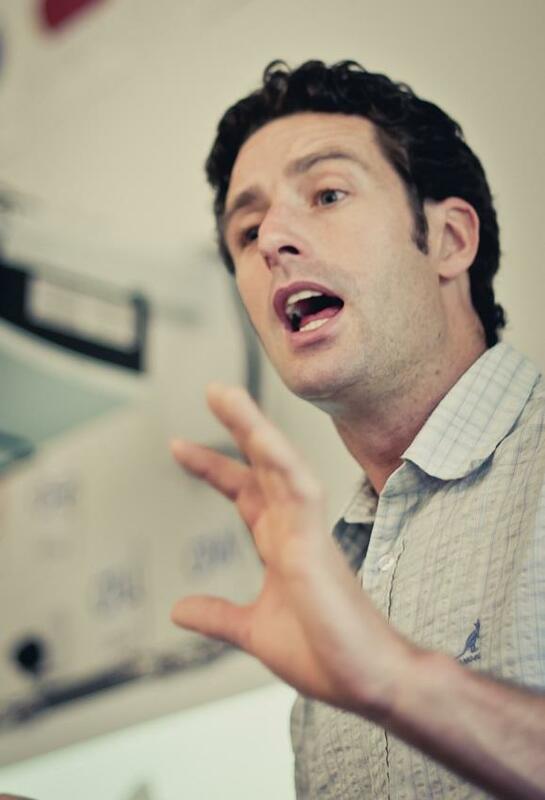 Ben Heason began public speaking in 2002, and has now given over 300 motivational talks throughout the UK, as well as in Ireland, Jersey, Italy, Slovenia, Switzerland and Australia. 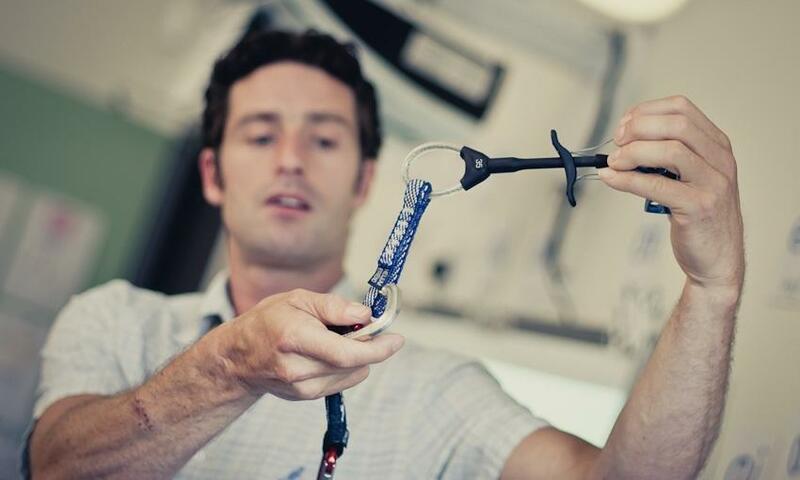 With experience of speaking to a wide range of audiences – from key note speeches at conferences, to primary and secondary school pupils, to adventure festivals or climbing clubs, Ben adapts his approach to ensure that everyone is entertained and gains greatly from his inspirational, enthusiastic and humorous anecdotes. 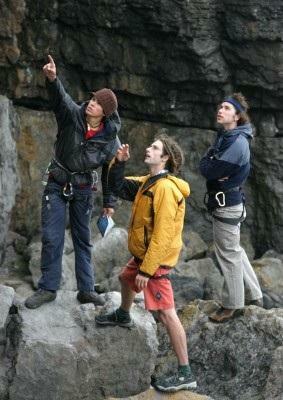 One of the UK’s leading climbers, Ben Heason has been climbing full-time for over 15 years. He is world-renowned for his bold climbing on routes at the cutting edge of the sport, including his impressive exploits on big wall expeditions around the globe. In 2005, Ben was part of an international expedition to climb the world’s highest waterfall, deep in the heart of the Venezuela jungle. The team’s successful expedition, with climbing at the highest level in an incredibly remote region of the planet, has been praised as ‘one of the finest achievements by British rock climbers on foreign soil’. The team’s ‘home’ for 14 consecutive days and nights. 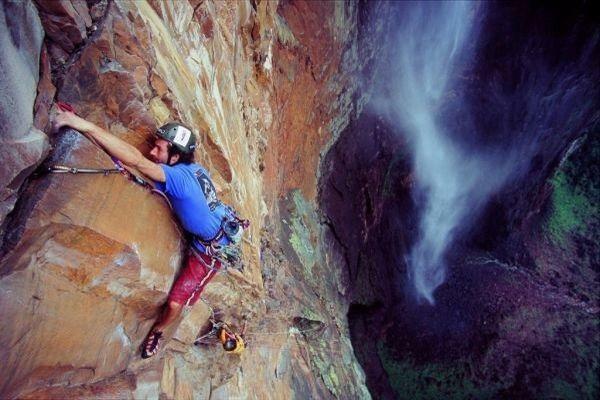 An obvious lure to extreme climbers, Angel Falls has attracted adventurous climbers for decades, but all previous attempts to free-climb the main wall of the world’s highest waterfall had met with failure. Situated in the heart of the Venezuelan jungle, this is not merely a story about an audacious rock climb on one of the natural wonders of the world, but the emotions and experiences encountered along the way. Ben Heason’s presentation covers the whole adventure, including the 6 day journey to their base camp, the amazing flora and fauna found in the unique Tepuis (the area that inspired Sir Arthur Conan Doyle’s novel ‘The Lost World’), as well as a look at ‘life on the edge’ – they spent 14 consecutive nights sleeping on portaledges suspended from the overhanging wall! As well as illustrating a lust for adventurous travel, and a keen interest for the diverse cultures along the way, Ben Heason focuses on the excitement and apprehension experienced, as well as the planning, preparation, teamwork, and determined approach that were required to succeed on such a demanding climb. Together, the story, stunning photography, insightful video clips and, above all, Ben Heason’s enthusiastic delivery, the presentation is sure to captivate any audience. It demonstrates that, with hard work, focus and planning, positive thinking and a determination to succeed, any goal is attainable, encouraging others to live their own lives to their potential. Contraband is the UK’s top booking agent, with affable, knowledgeable account managers who guarantee you the best deal possible. Contact us today if you would like to book Ben Heason to be the headline of your event! We as your booking agent are more than happy to help you create the most memorable moments with Ben Heason. The talk lasts for approximately 1 hour.